The Kovalev-Stevenson saga of pulled-purse bids, exclusive network deals and boxing/broadcasting politics has been rumbling on for a long time now, with Stevenson’s ‘advisor’ Al Haymon and his fighters ostensibly banned from appearing on HBO [where Kovalev enjoys an exclusive deal] being the crux of a wider reaching problem that Stevenson says will never reach a satisfactory conclusion unless the two sides come together to resolve the broadcasting issue. 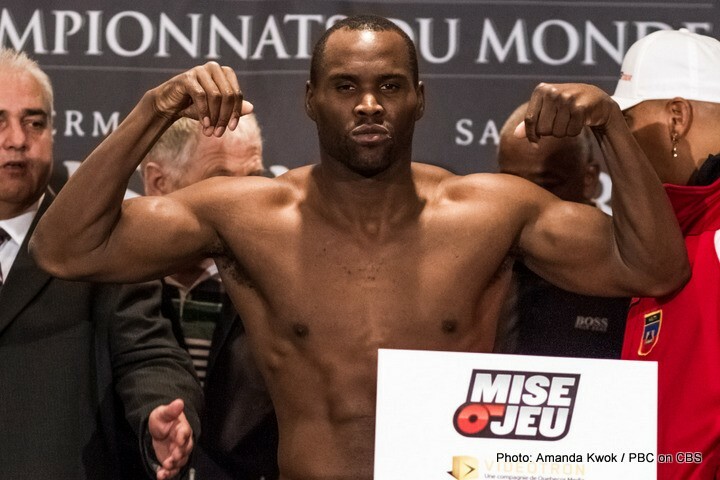 Aside of the Haymon connection, Stevenson is officially promoted by Canadian stalwart Yvon Michel, with Kovalev’s promoter Kathy Duva claiming to have a deal for the fight to take place in June all but worked out in principle with the GYM CEO, yet the HBO factor remains an issue. “I want this fight to happen,” Stevenson said. “The fans want it to happen. I said June is perfect for me. He [Kovalev] said, ‘OK, June.’ Kathy Duva said, ‘No problem, June.’ Then she said on HBO. Despite it’s enormous appeal in the boxing world, the fight simply isn’t big enough to warrant the kind of extremely rare network co-operation that was most recently evidenced by Mayweather/Pacquiao, and with the Kovalev and the HBO exclusivity deal trumping all else for the time being, it’s difficult to see a way forward unless Stevenson – or more notably, Al Haymon – is the one to climb down. Duva has previously offered a 50/50 purse split and to travel to ‘Superman’s’ Canadian backyard, with HBO being Stevenson’s only concession. “I want to fight Kovalev. That’s the best opportunity for me because I want his titles. For sure, this fight will happen in June,” Stevenson continued. Kovalev will first rematch Jean Pascal in January, and should it then happen, the Stevenson unfication in Junw will be the second in a 3-fight plan that will culminate in a clash former 168 lb champion and P4P star, Andre Ward on HBO in the Autumn/Fall of 2016. You are here: Home / Boxing News / Stevenson: I Want Kovalev Fight Made!